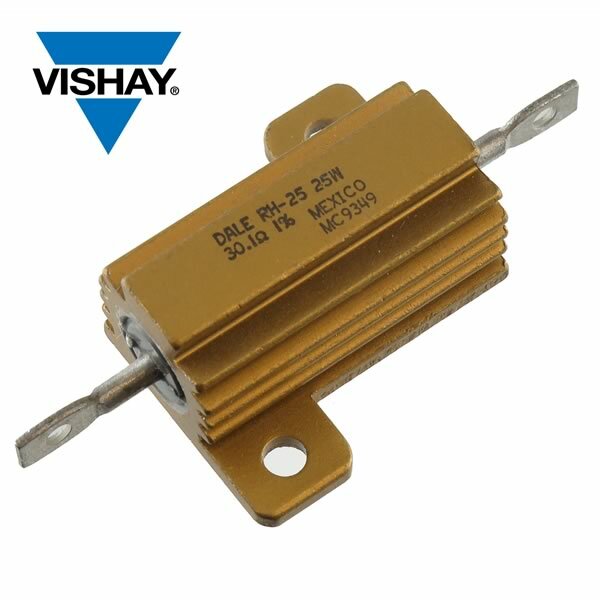 30.1Ω, 1% tolerance, 25W, Wirewound, chassis mount, aluminum heatsink encased RH-25 series power resistor from Dale. Features axial solder lug leads. Size is approximately 1.069" (27mm) long x 0.56" (14.12mm) wide (excluding mounting holes) x 0.54" (13.74mm) tall. Length of leads is 0.437" (11.1mm).